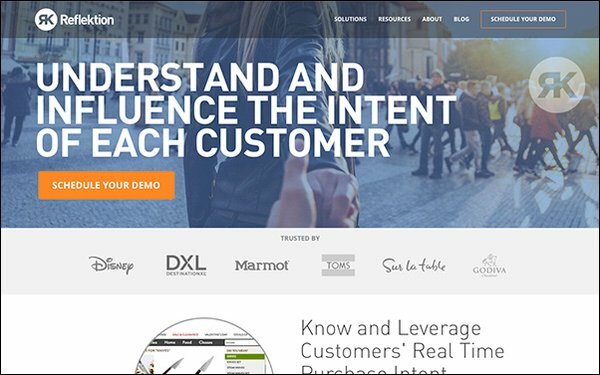 Reflektion extended its retail personalization platform on Monday, debuting a new behavioral email solution and two product integrations with popular email automation providers. Reflektion’s new email marketing solution helps retailers tailor email content for each unique customer based on that individual’s preferences and actions. Powered by artificial intelligence (AI), Reflektion analyzes the behaviors of online shoppers to calculate intent and preference. The company’s platform enables marketers to engage with subscribers in real-time with the types of marketing content that their customers will be most interested in, such as personalized product recommendations. The new email marketing solution adds to Reflektion’s existing email merchandising solution, which automatically embeds personalized marketing content and product recommendations into retail promotional emails. When combined, the two solutions enable marketers to respond in real-time to a customer’s online actions with personalized emails. For example, a retail brand could automate tailored emails based on certain behavioral triggers like an abandoned cart or browse. In addition, the Silicon Valley-based company also announced strategic partnerships and product integrations with Oracle Responsys and Bronto. Reflektion recently completed an integration with Cheetah Digital as well. Bill Finch, interactive creative director and senior user experience designer at FramesDirect.com, is a Reflektion customer who uses Oracle Responsys for email automation. "With the new Reflektion recommendations in our abandoned cart and abandoned browse emails, we've seen an increase in email open rates averaging 31% and an increase in email-generated revenue of approximately 22%," states Finch. Reflektion’s behavioral email solution is now available to all global customers. The company’s client roster includes TOMS, Ann Taylor, Sur La Table, and Godiva.